Perhaps you’ve seen the recent news that the JRI-Poland indexes has tremendously contributed to the production of “Our People, Our Traditions” episodoe of Finding Your Roots featuring Alan Dershowitz, Carole King and Tony Kushner.”We were able to provide our guests with information about their 3rd and 4th great-grandparents that would have been virtually impossible to uncover without this resource” — says Josh Gleason, Finding Your Roots producer. As we’ve mentioned previously, the producers of the series has decided that Jewish Family Search should search the original files and contribute even more detailed information to the “Our People, Our Traditions” episode. We have carried out extensive one-week research in the State Archives of Sandomierz, Tarnów and Przemyśl. JRI-Poland indexes has led us to a census of Tarnobrzeg population from 1880. 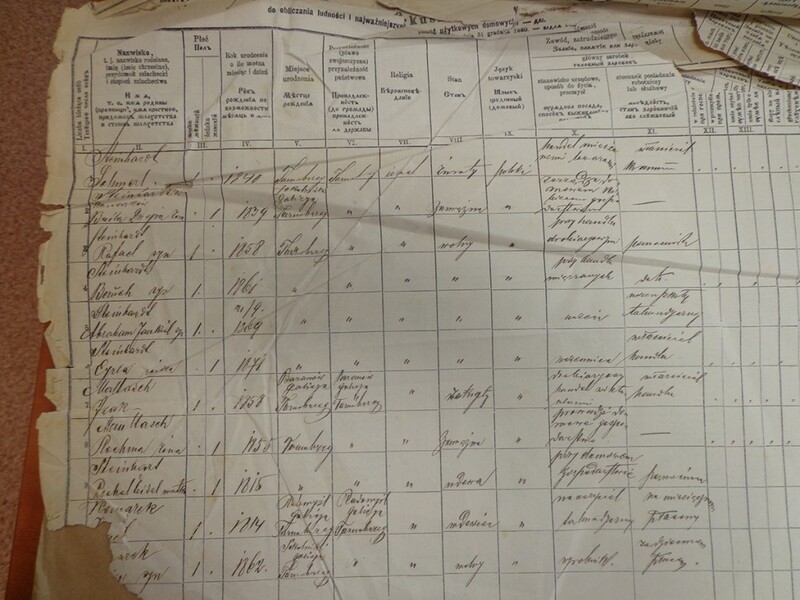 As JRI-Poland database includes only briefly indexed data from the census (just surname, given name, page number page entry, house number, birth year, town born) a deeper investigation in the original file was required (reference no PL/24/525/11). Thus we learned extremely important data on family relations, profession, places of birth and living, education.